Registration for the next ANA Meeting is now open. 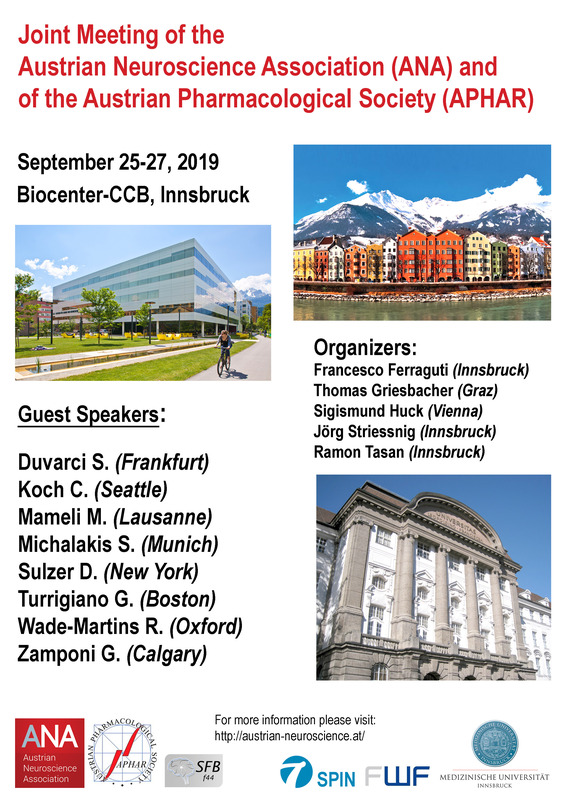 The meeting will take place at the Center for Chemistry and Biomedicine (CCB) in Innsbruck and will be a joint venture with the Austrian Pharmacological Society (APHAR). In addition, it will be preceded by the final event of the FWF-funded Spezialforschungsbereich SFB-F44, which adds a number of high-profile international speakers to this joint meeting. Both ANA and APHAR support their students who live outside of Innsbruck with a number of travel grants. In addition, the SFB-F44 also provides travel grants for ANA and APHAR students who attend this satellite. Here will find all details of the meeting, including registration, abstract submission, deadlines, and how to apply for travel grants. Please note that even if you are not an ANA member yet you can still apply for membership by following these instructions. Georg Ammer completed his thesis work under the supervision of Alexander Borst at Department of Systems and Computational Neurobiology, Max Planck Institute of Neurobiology, Am Klopferspitz 18, D-82152 Martinsried, Germany. Here you can read his complete thesis. Abstract: Understanding how neural circuits perform fundamental computations is a central goal of neuroscience. A classic example of such a computation is the detection of visual motion. How this operation is implemented at the neuronal level, however, remains elusive. 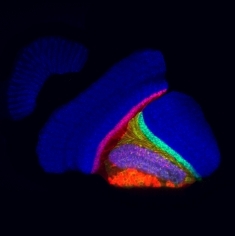 The visual system of the fruit fly Drosophila melanogaster lends itself particularly well to addressing this question. Recent advances in genetic and anatomical methodology hold promise in mapping the neural elements to proposed algorithmic structures. Moreover, the small size of the fly brain makes it feasible to understand how the motion vision circuit interacts with parallel and downstream circuits to ultimately guide behavior. All of the studies presented in this thesis investigate the Drosophila motion vision circuit. In particular, they do so by addressing different mechanistic levels. In the first study, we identified T4 and T5 neurons as representing the direction-selective output stage of elementary ON and OFF motion detectors (Manuscript 1). 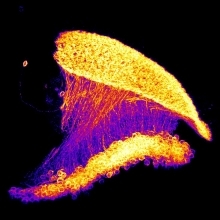 This was followed by characterizing and assessing the functional contribution of their presynaptic input elements (Manuscript 2). Moreover, we tried to refine the algorithmic architecture of the motion detection circuit and assign specific cell types to the elements of that algorithmic structure (Manuscripts 2,3). The second half of this thesis relates the computation of motion direction to the challenges that this system faces during natural behavior. First, we asked how natural environments have shaped the properties of Drosophila motion detectors (Manuscript 4). Furthermore, we explored the functional interaction of the motion vision system with parallel visual circuits (Manuscripts 5,6). Lastly, we investigated the evolutionary functional conservation of an identified visual neuron across two fly species of different sizes (Manuscript 7). Taken together, the manuscripts contained in this thesis broaden our knowledge on how flies compute the direction of motion and might shed light onto how neural circuits compute in general. Enrica Paradiso did most of her work under the supervision of Francesco Ferraguti at the Department of Pharmacology, Medical University Innsbruck, Innsbruck, Austria. In addition, she spent one year at the Friedrich Miescher Institute for Biomedical Research, Basel, Switzerland (Group: Andreas Lüthi). A link to the Medical University of Innsbruck thesis repository will be set here as soon as all her thesis work has been published. Title: Anatomy, connectivity and functional role of Vasoactive Intestinal Polypeptide-expressing interneurons in the mouse basolateral amygdala. Abstract: The basolateral amygdala (BLA) is a cortical-like structure known to be involved in simple forms of emotional learning such as fear conditioning. It is an entry site for sensory information to the amygdaloid complex, and local plasticity in the BLA is considered to be crucial for fear learning. Interneurons in the BLA are a small but heterogeneous group of neurons that tightly regulate principal neuron (PNs) excitability. Studies in the neocortex have shown that a specialized class of interneurons, vasoactive intestinal polypeptide-expressing interneurons (VIP), primarily contact other types of interneuron resulting in the disinhibition of PNs that allows the encoding of diverse sensory stimuli. However, in the BLA the existence and function of interneuron-selective-interneurons has not been investigated so far. Here we provide the first detailed characterization of the neuroanatomical and immunohistochemical properties of VIP interneurons in the mouse BLA. 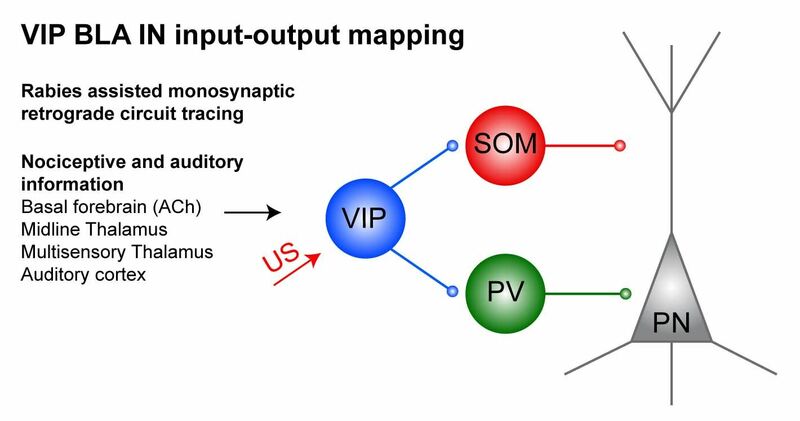 Furthermore, using a mono-trans-synaptic retrograde tracing approach, we identified direct inputs to VIP BLA interneurons from brain areas involved in sensory-emotional processing and delivery of aversive information to VIP interneurons. By means of calcium imaging in freely behaving mice we found that VIP BLA interneurons are strongly activated by footshocks during associative fear learning. 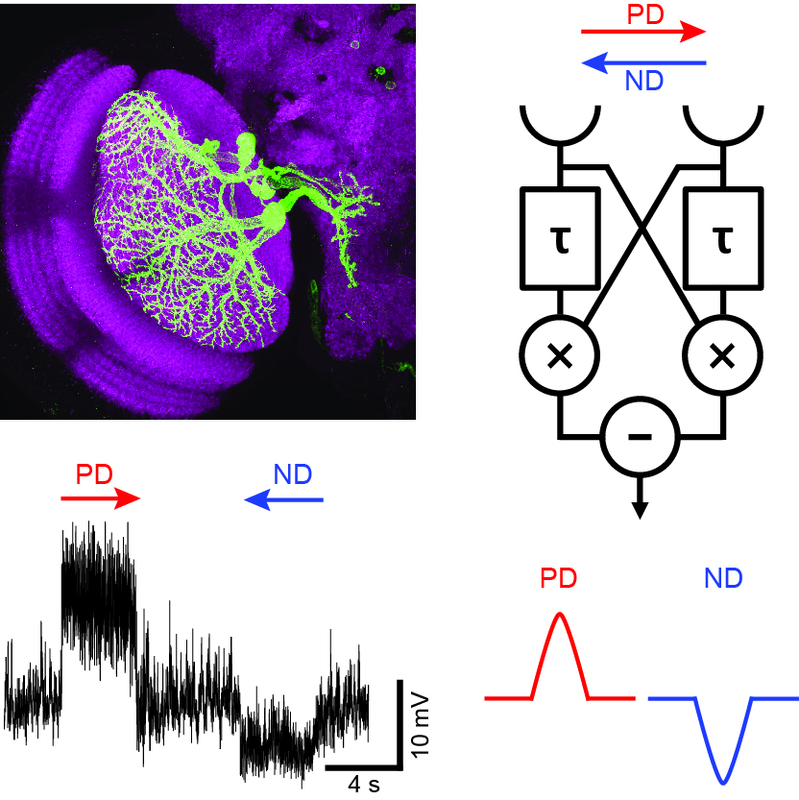 By further studying the local connectivity of these interneurons, a circuit motif could be delineated in which VIP BLA interneurons are upstream of parvalbumin and somatostatin-expressing interneurons preferentially targeting neighboring PNs. 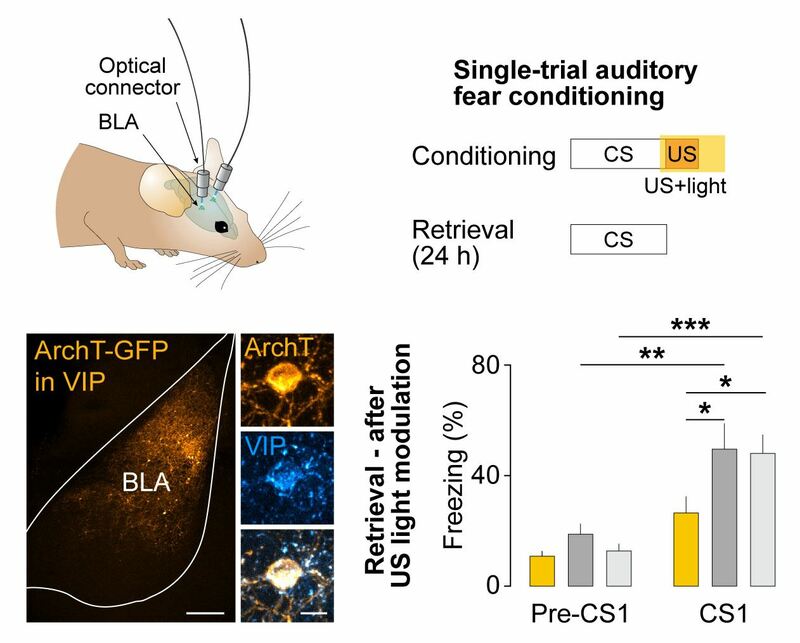 Finally, through optogenetic loss-of-function manipulation of VIP BLA interneurons in a fear conditioning paradigm, we demonstrated that activation of VIP interneurons during the presentation of the footshock is a mandatory teaching signal for both associative and contextual fear leaning. Therefore, permissive gating of PNs by VIP interneurons might be a general operational principle that allows to discriminate important from irrelevant sensory stimuli and to facilitate stimulus-associations to ensure appropriate behavioral adaptations to salient events. Jury for the 2018 Best Thesis Award: Sigismund Huck (ANA President); Ruth Drdla-Schutting (Loewi Award 2017); David Keays (Loewi Award 2015); Alex Koschak (Loewi Award 2011). The Otto Loewi Award is a prestigious award for neuroscience research in Austria provided biannually by the Austrian Neuroscience Association (ANA). It is named after the Austrian-American Pharmacologist and Physiologist Otto Loewi, who was awarded the Nobel Prize for Physiology in 1936 for the discovery of chemical neurotransmission. The aim of Otto Loewi Award is the promotion of neuroscience research in Austria by awarding this prize for outstanding scientific contributions in an active field of neuroscience. The particular intention is to honor research achieved in Austria. The award is offered biannually. The 2019 Otto-Loewi-Award is endowed with € 5.300,- sponsored by the Peter und Traudl Engelhorn-Stiftung. Neuroscientists working (having worked) in Austria who are not older than 40 years by September 25, 2019, are invited to apply. The proposals are reviewed and decided on by a prize committee chaired by the president of the ANA. The prize is awarded at the occasion of the biannual ANA Meeting in Innsbruck, September 25 – 27, 2019. Vienna: We are expecting record numbers of pupils who will attend our BAW at the Center for Brain Research. Here you find the program. Salzburg: Now in its 9th year, Salzburg will organize its highly successful BAW at the “Haus der Natur”. See what this BAW offers by downloading the program. Innsbruck: The Medical University Innsbruck again offers an attractive program on topical matters in Neuroscience. The events take place at the CCB, Innrain 80-82. Start of lectures daily at 19.00 (free admission). Here you find the program. OUR WEBSITE - UPDATE YOUR PROFILE! Our recently introduced Website offers new opportunities for News and Blogs. It has already proven to be of great help in managing the association. The Website has 3 levels of access: (1) Open for the general public (2) Open for all ANA Members (3) Open for ANA Board Members. If you intend to get access as member, please follow instructions on the page Member Website Options. Once you are logged-in you should complete your personal profile. Existing members may ignore the fields "Sponsor Name" and "Sponsor Email". Your profile will already show whether you are up-to-date with your annual dues. For your convenience you can now print your own invoice and pay membership and registration fees by Credit Card, in addition to online banking. You may see (and comment) ANA News and how to contribute to ANA blogs. If you visit the Directory and use "Advanced Search" you should now be able to find cities, institutions, and "keywords for research interests". In order to make this a useful function we am urging all members to update their personal profile. Please note that the directory is only visible to ANA Members.